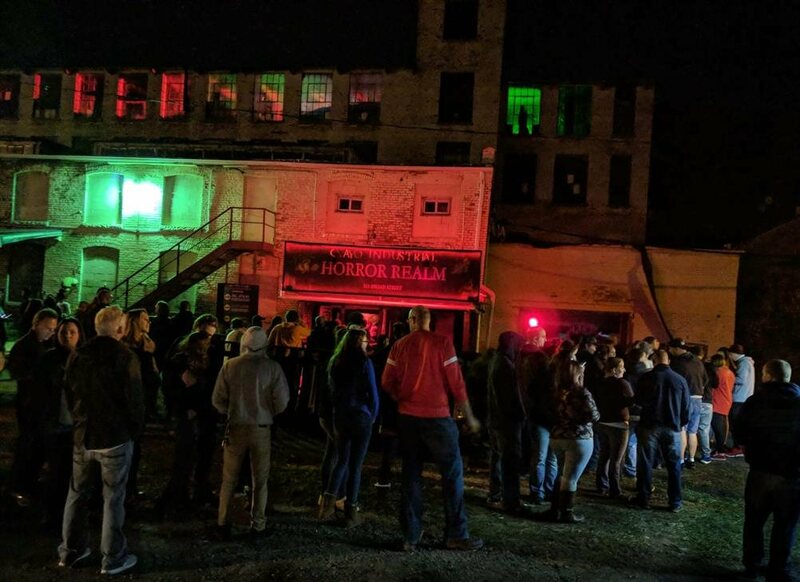 Cayo Industrial Horror Realm returns now for another year now with four walk through horror attractions! This year brings a darker revamp and new interactive elements to the four Cayo Industrial Horror attractions. Archana Asylum, where you become trapped inside a patient and the Surgeoen’s mind. AND ESCAPE WARD. ESCAPE WARD NOT SOLD SEPARATELY. All other attractions guaranteed entry until closing time. This year brings tormenting corridors, prophecies and echoes from bowels of a dying world. 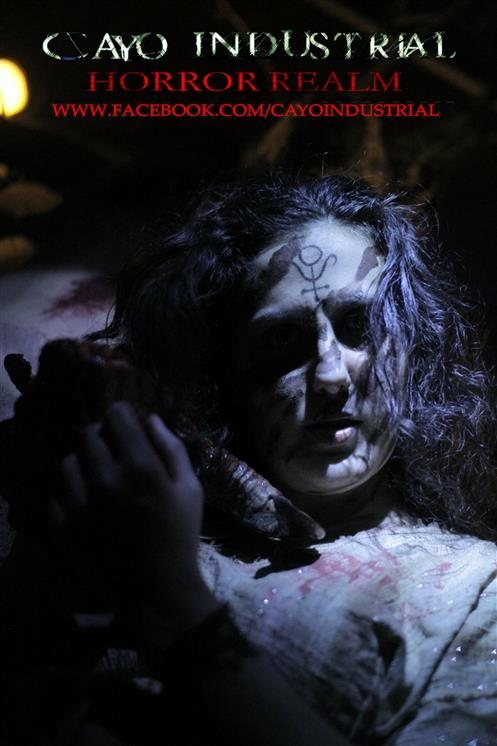 Traumatic states of horror are found within these haunted attractions. All four attractions are located in one location. Enter Archana Asylum for FREE when purchasing the multi-pass ticket. Enter the Escape Ward for $40, which includes all 4 attractions. Inside the warehouse, the screams within the walls were ignored until the echoes crumbled the crevices revealing an unexplored realm. A facade exterior removed, a hidden door exposed. Nails driven around the edges, strangers of the outside world were not meant to open. Look inside the number six. On the other side, documents lingered, detailing patient records, tape recordings of sessions, observation pamphlets from practice. Searching deeper, the halls furthered into unexplored regions of the makeshift asylum. Remnants of prisoners locked in cells, burdened with filth and decay. Apparatus devices linger throughout the labs. 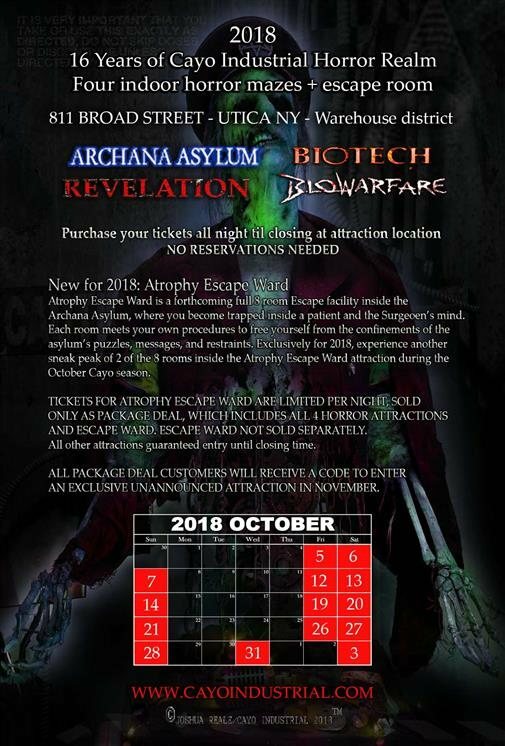 ARCHANA ASYLUM, the new attraction debuting this season, is a private research mental asylum discovered hidden behind a facade during reconstruction of the warehouse. Responsible for the existence of the asylum lair was described as an industrial demonic madman. Documents lingered detailing experiments to control thoughts of mass amounts of people through airwaves, food consumption, visual media, the air we breathe. It has been said these documents were seized by governments assumed to be in practice today. You will walk these halls of ARCHANA ASYLUM, experience end of world representations of a zombie-like state of emergency in the REVELATION quarantine attraction, reenlist your mind in perils of war within the world through the BIOWAR attraction, and hear the screams of animal and man within the machines inside the BIOTECH attraction. 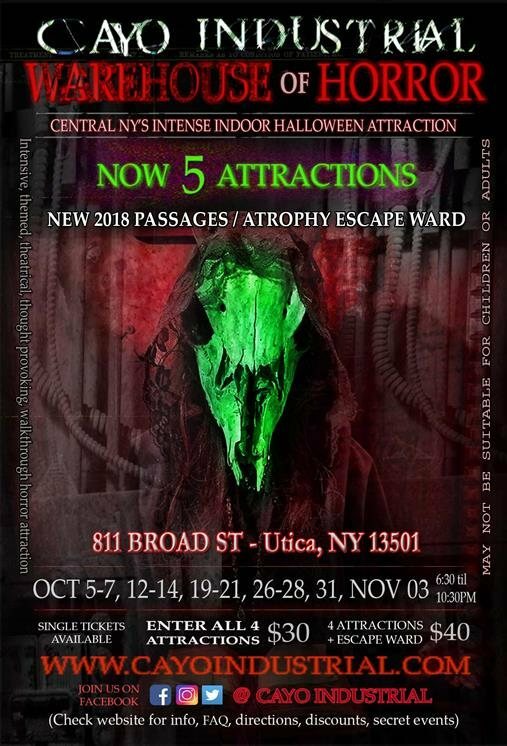 All four realms display a unique interactive exhibit of themed horror and fear limited to this October 2018 season. Now its your turn... Walk through actual cells, become a prisoner of your own fear, see another side of yourself, realize the blessings of insanity, leave yourself behind. Abandoned places, abandoned minds - Insane world, insane minds, Two thousand nineteen... two thousand nineteen.